Slewed weave is quicker to work in, so costs less than randed weave. 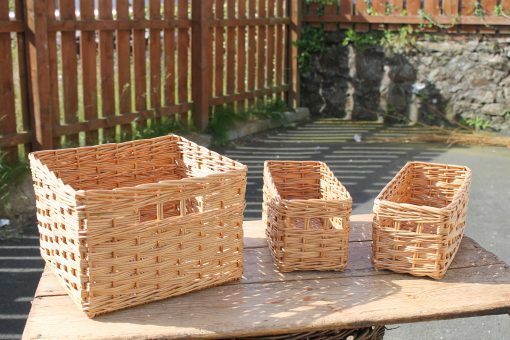 It’s ideal for tall baskets and for utility baskets and can also be quite decorative – formed using several rods of willow at a time, it gives a checkerboard finish. 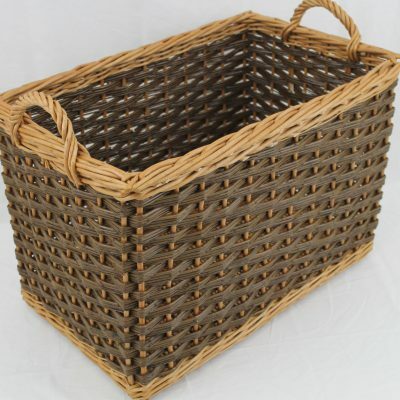 Having a track border means you get a slightly bigger basket than with a standard border because there’s no overhanging lip to accommodate within the overall size of your basket. 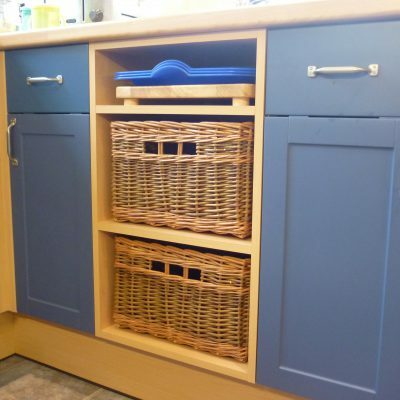 That makes it ideal for small baskets (to optimize internal storage space) and for baskets going into units: gives you an even gap at the sides and makes the best use of available space. For larger baskets a standard border could be a better option as it makes a more rigid edge to the basket. 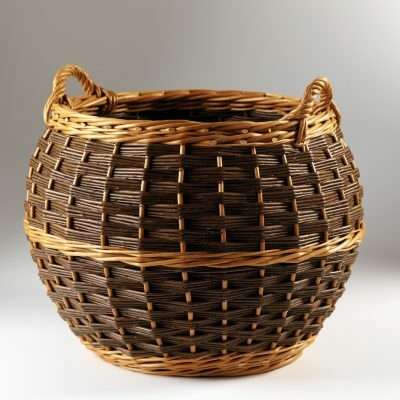 There are four natural willow colours. 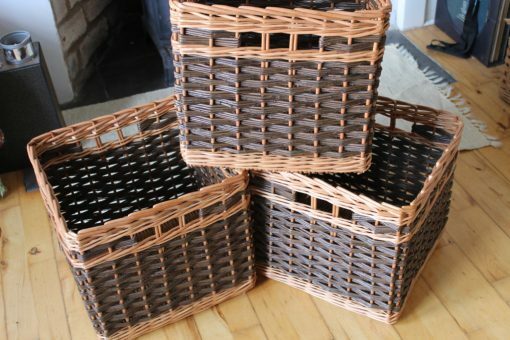 For utility and kitchen baskets that get heavy use, we recommend either all buff or buff with green or steamed. Buff willow is the strongest and most durable of the 4 colours. 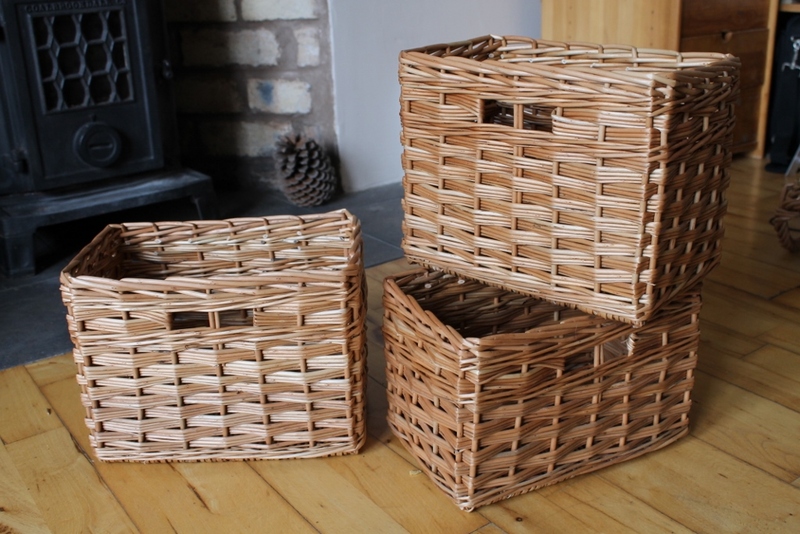 Find out more about their uses and properties on the Willow Colours page. (price varies according to size).